Posted on July 6th, 2018. Diverse, delightful, delicious, with an abundance of the freshest ingredients, Turks and Caicos restaurants weave magical dishes to please every taste. 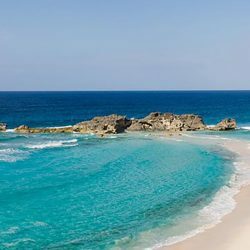 The gorgeous group of islands that makes up Turks and Caicos is sublimely located in the temperate and lush Caribbean Sea. Here, Exceptional Villas has the most exclusive Turks and Caicos villas that are laced throughout this tropical and captivating land. An abundance of seafood and fresh local ingredients allow the restaurants across the archipelago to create delightful dishes. It is unusual to find a menu that doesn’t have mouth-watering shellfish prepared in delicious yet simple ways or woven into a state of the art dish that is as beautiful to look at as it is to taste. 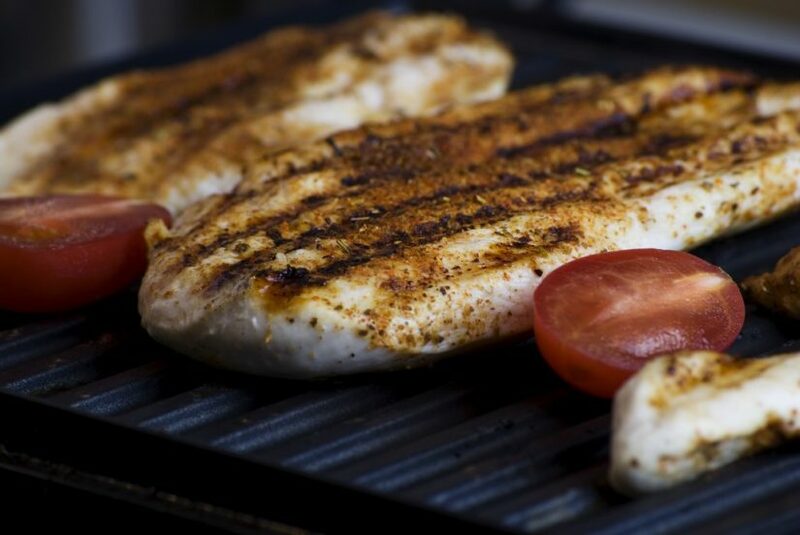 A wide range of meat dishes and lush vegetables sourced from the islands, guarantee a freshness and, in many cases, organic offerings. The islands have made a rather dramatic decision to keep all fast food chain restaurants at bay. It doesn’t mean you can’t enjoy some delicious fried chicken or luscious cheese burgers but, let’s just say, these dishes are less pedestrian than their mass-produced cousins found a little further north! The dining experience is only one of the reasons it is listed as one of the 17 Caribbean Destinations with Direct Flights from New York. So, let’s sail around this delightful island and call in at some of the lovely, quirky Turks restaurants that promise a dining experience, par excellence, to you lucky visitors. It is simply one of the many incredible things to do in Turks and Caicos. The largest of the Turks and Caicos islands and easily accessed from Parrot Cay. This modern and chic restaurant has expanded the boutique flair of its accommodations and created a beautiful offering in Kitchen 218. It will always feature on any ‘Best restaurants in Turks and Caicos’ guide if you are looking for a casual yet stylish experience. The delightful dishes, produced by the excellent team at Kitchen 218, are a happy blend of Caribbean cuisine overlaid with some sophisticated French and Asian twists. 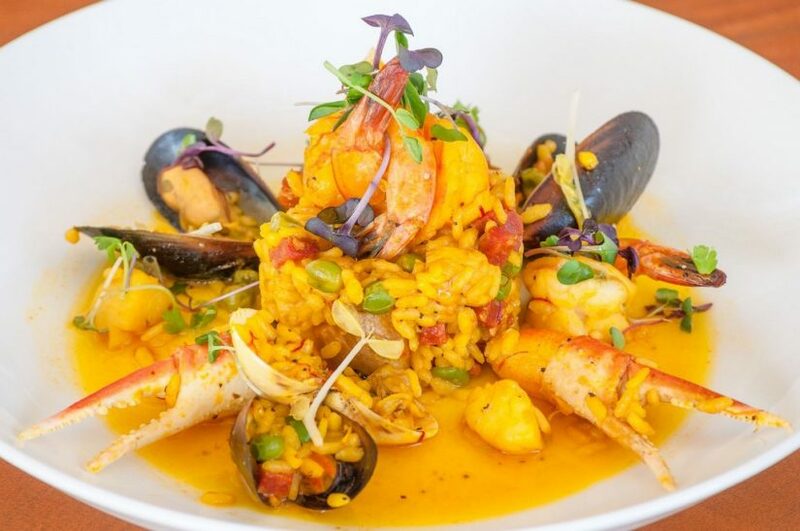 The Lionfish Ceviche is memorable, as is the rich and flavoursome Beach House Paella. 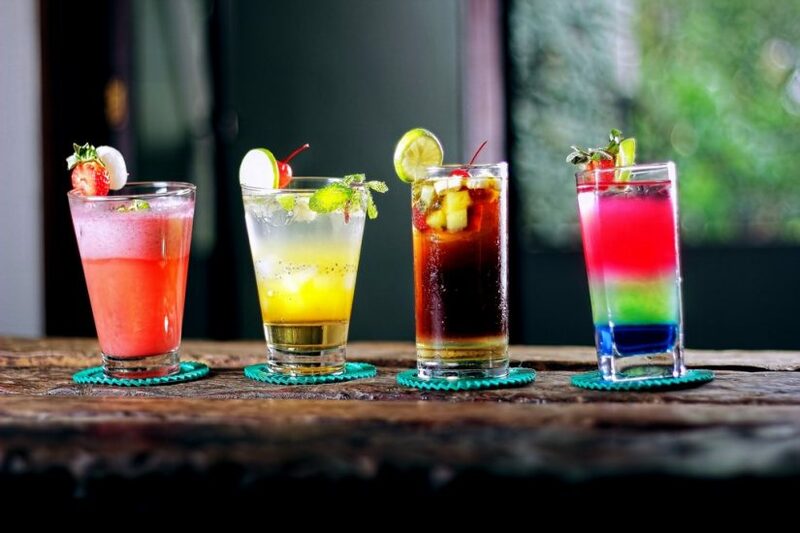 While staying in your private villa, why not venture out for some tantalizingly tasty treats. 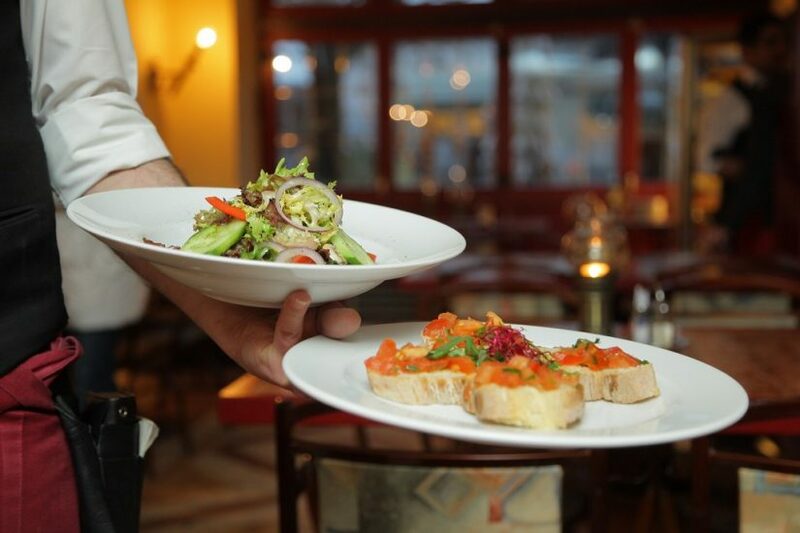 This restaurant has an open kitchen, so you can watch as your delicious spicy Turks and Caicos cuisine is prepared with loving care by the wonderful kitchen team. There are excellent Date Night menus for Friday and Saturday nights where, for a set price, a three-course meal of the most delicious fare is available with a house red or white. Serves: Breakfast, Lunch, Dinner (except Monday evening) – Moderately Priced. Read more about Turks and Caicos Resorts. If you’ve packed a pair of heels and a glam dress, Seven is where you will want to wear them. This beautiful venue is one of the best restaurants in Turks and Caicos, with its crisp white table cloths, grand piano and ambient lighting. It sets the stage for a rather romantic and stylish evening. The menu is spectacular – Caicos Rum Butter Lobster will melt in your mouth after the refreshing flavours of a Tomato and Strawberry gazpacho. Serves: Dinner – Moderately/High Priced. When you step over the threshold into this lovely modern restaurant, you are stepping into a little corner of Italy. With over 90% of the food ingredients brought in from small producers in Italy, you are getting the authentic taste of the Mediterranean. The olive oils, the pastas, the flavours – it’s Italy at its very best. The influences of Turks and Caicos on the menu can be found in the Fresh Lobster Bruschetta. On Saturday night, the brick oven is fired up and the sleekest thin crust Roman pizzas are prepared right before your eyes. With a good bodied red wine or a chilled beer, it is food heaven. If you decided to visit Turks restaurants you simply must embrace the whole Caribbean food experience. To be honest, most of the dishes are borrowed from other of its Caribbean neighbours. For example, jerk from Jamaica, BBQ from Hispaniola and the conch fritters from The Bahamas. Yet, for all this borrowed cuisine, the locals have captured the very best of these various styles of cuisine and you will be glad you took the plunge. In most cases, the best versions of these dishes are found at street stalls or shacks. The very best Turks and Caicos food shack is Chinson’s Grill Shack. Nothing fancy here but the food is yummy. Goat Curry, Jerk Chicken with Rice and Peas …. it’s all waiting for you. Go early in your holiday as I bet you’ll want to go again before you leave! This is the dining experience in Grace Bay that everyone talks about. It’s no surprise as it is rated one of the best restaurants in Turks and Caicos. To Begin with, the setting is divine. 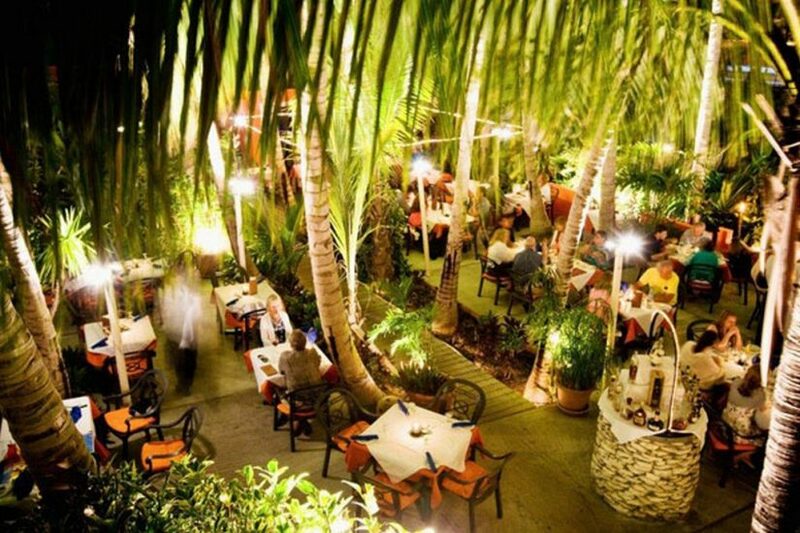 Under waving palm trees, you can count the stars as you enjoy some of the finest food to be found across Turks and Caicos. The chef and owner know a lot about allowing the best ingredients to speak for themselves. Seafood is deliciously fresh and not over-worked. The meat dishes have the lightest of touches to preserve flavour and texture. The banana fritters, a staple on most Caribbean menus, are a light and crisp offering here. But it is the Belgian chocolate fondue (for two) that gets special mention. Do try to leave room for this playful dessert. The resident matron in the restaurant is Coco the cat who likes to take a casual stroll through the restaurant most evenings. She is extremely well-behaved and won’t impose herself on your evening…. But like all royalty she really does like to be admired. The Grand Dame of Coco Bistro! Although not technically a restaurant, this is a dining experience not to be missed when you are on Turks and Caicos. Essentially, it’s the best street party you’ve ever attended. With numerous food vendors selling hot and spicy Caribbean dishes or the utterly memorable Lobster Mac and Cheese (yum! ), you and your family can drift around this busy market. In addition to food, there are stalls selling handmade jewellery and scarves. The backdrop to all this activity is the vibrant sounds of the Ripshaw musicians who set the tempo for a truly laid-back Caribbean experience. Visitors fly and sail in from all of the other Turks and Caicos Islands for this weekly event. As the evening winds down at 9.30pm, younger guests can join in. Kids love the atmosphere. The administrative capital of Turks and Caicos that wears its Colonial past on its sleeve. The friendliest restaurant in Grand Turk. The deck overlooking the beach is glorious. It will look even better after one of their famous rum punches. Their chunky burger with all the trimmings is a lovely change from the oceans of seafood available all over Turks and Caicos. A very relaxing place to enjoy a long lunch with kids or settle in for an early dinner. Serves: Lunch, Dinner, Bar (with After Hours) – Low to Moderately Priced. Vibe: Casual, Fun, Friendly – Beach and Sea View. It’s not going to win any awards for haute cuisine but if you are young (whether in mind or body) and want a day swimming in two huge pools intersected by a bar, with loaded nachos and burgers available off the food menu, then you will be in heaven. It’s a busy, lively and fun place to pass a day. The free Wi-Fi adds to the whole experience. Don’t forget your sunblock! The unimpeded view over the turquoise waters of the Caribbean makes this one of the most special Turks restaurant that you can visit. The delicious plates of food produced by the able chef are supplemented by daily specials that are well worth checking out. Mouth-watering Coconut Shrimp or rich steaks are staples. There are delicious brunches at the weekend and a glorious English High Tea. The setting right on the beach is divine. The destination for those who want space and nature. Bliss. 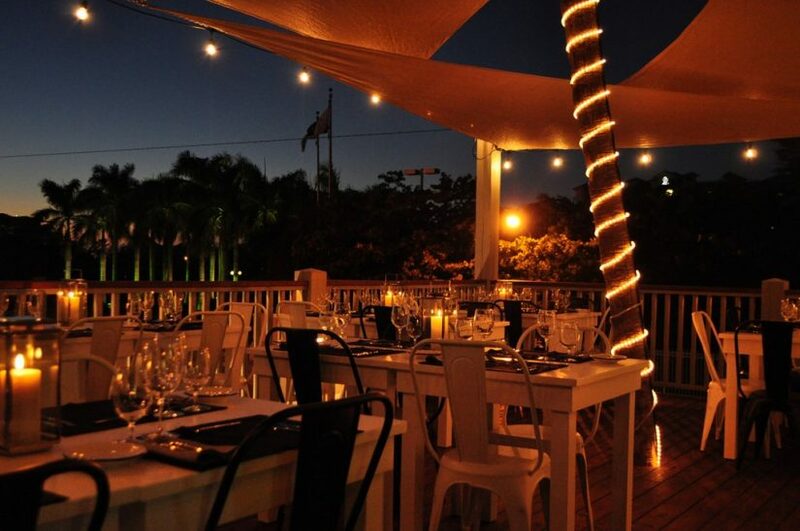 The restaurant reviews for Turks and Caicos highly rate this delightful restaurant located within the East Bay Resort. The freshest of seafood prepared to perfection is how best to describe this haven. Conch Salad followed by the lightly grilled fish. The chef is clever and understands how the best ingredients can speak for themselves. The food is wonderful and inventive with all variations of seafood the main event. There are non-fish options too for anyone looking for something different. The ultimate Turks and Caicos dining event if you want an authentic experience. The BBQ ribs and hot sauce are simply the best you will find in the whole of Turks and Caicos. This is a family run BBQ and Jerk shack. You will feel like you’ve dropped into someone’s backyard for some amazing home cooked treats. This is such a popular drop-in spot on South Caicos. Don’t miss out. The views at sunset are glorious. Sitting back with a delightful cocktail, it’s a very relaxing start to your evening. The seafood is wonderful. Lobster, grouper, shrimp, conch – everything is freshly prepared. This restaurant gets very busy on Sunday evening as it’s one of the few restaurants on South Caicos that is open. If you are a day-tripper to South Caicos, drop in for lunch. Did I mention the amazing view? Turks and Caicos restaurants have grown out of a rich and diverse history. Its nearest neighbour The Bahamas has given it the Conch that gets frittered to perfection. Hispaniola is the origin of the smoky BBQ flavours you will find on those juicy ribs. Jamaica has gifted the Jerk to the islands. You might be wondering what exactly traditional Turks and Caicos food is. Well, it’s all of the above! The wonderful and friendly people of Turks and Caicos are as diverse and colourful as the food you will enjoy. Does it really matter where the food influences come from? I don’t think so. What matters is freshness and taste. 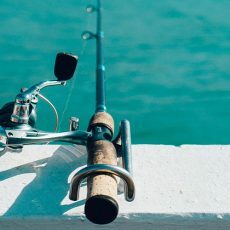 The restaurants in Turks and Caicos only have to cast their nets a short distance to harvest the abundance of sea and land. 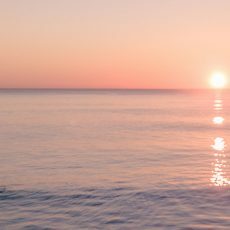 The distance between the sea and the plate is as short as you would wish to find anywhere. 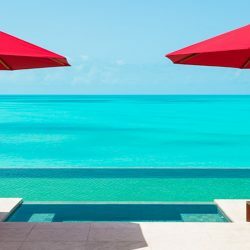 Without too much pomp or ceremony, you can sit in restaurants with some of the best views in the world and feed your body and soul with the brilliance of Turks and Caicos. 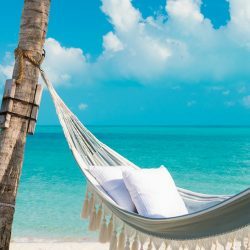 If you want to learn more about this tropical haven then why not take a look at our Turks and Caicos travel guide. So glad I came across this post. My friend is heading to Turks and Caicos and is a huge foodie. He will love this. Thanks.